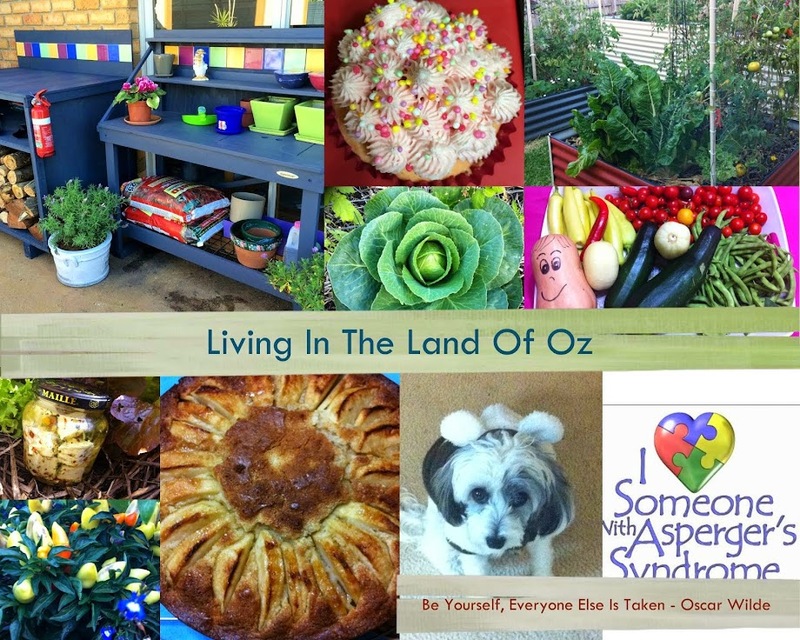 Living In The Land Of Oz: Im having a Mum moment... excuse me! Yep, very teary tonight. I did something tonight I've been waiting for at least a year to do and that is to give my son a book. Not just any book. 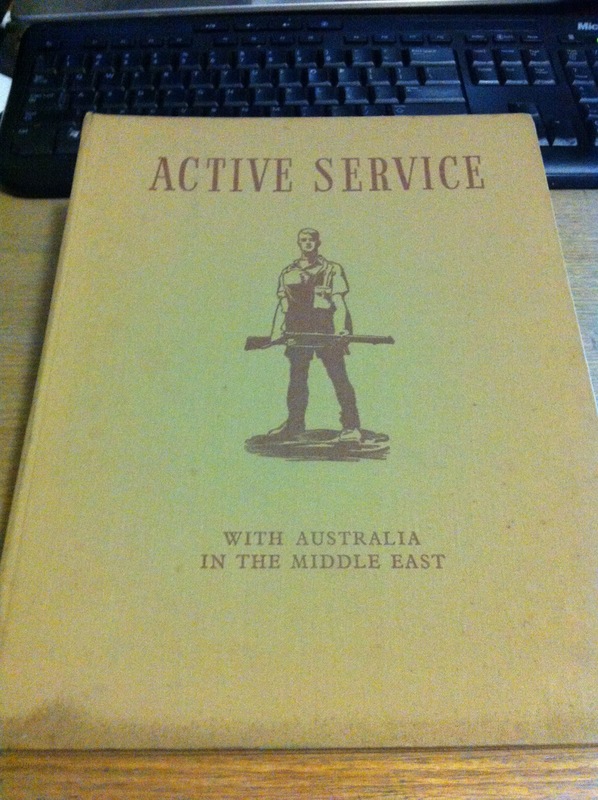 One i found on the dusty shelves of a country bookshop/cafe and put aside for a time when i knew he would be able to look after it and truly appreciate it. For those not in the know, Tom has Aspergers. His speciality is military. So when i came across this book i knew that one day i would give it to him. That day was today. He was on his way to English tutoring and i gift wrapped it with a letter explaining the importance of the gift from me. So why teary? Because i think i finally got my timing right. He and his tutor poured over the book, reading poetry and songs written by servicemen and as i waited in the corridor for his session to end i could hear the chatter between them and the excitement. His tutor said she felt very emotional about the book also. Knowing his interest in military she had brought Winston Churchill's speech, not know that Tom knew it very well. He is at this moment in the front room watching a documentary on the B17 bomber used during WW2. 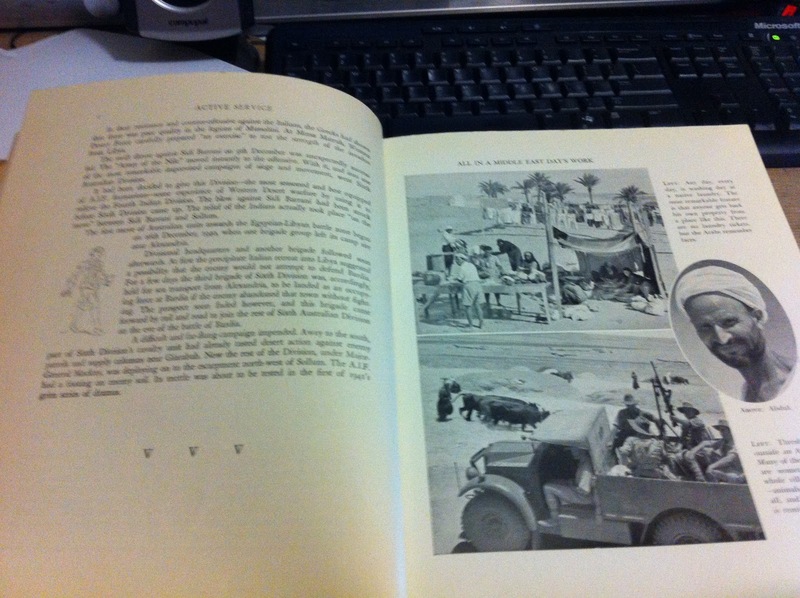 This book was published in 1941 making it 72 years old. It was written during the war, not after. The text is present tense not past tense and it reeks of emotion. 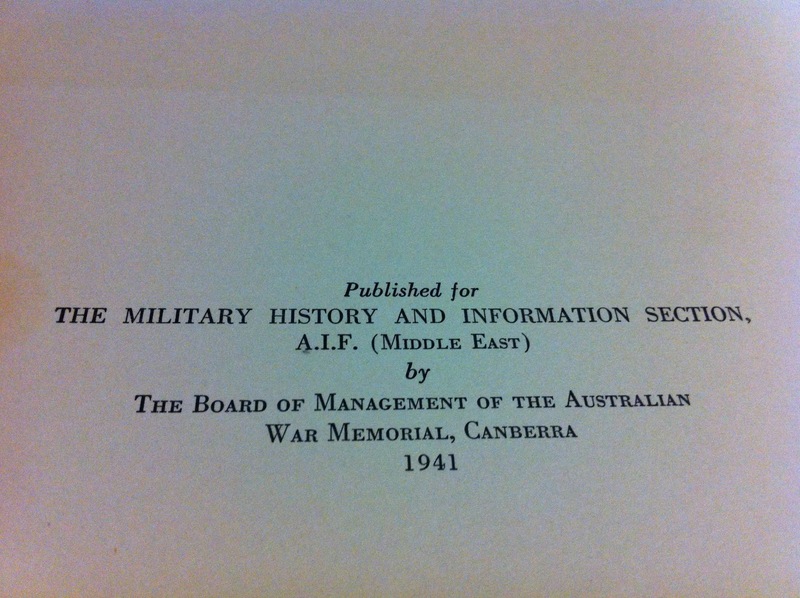 It was published by the War Memorial in Canberra 1941 and a record for The Military History and Information Section. 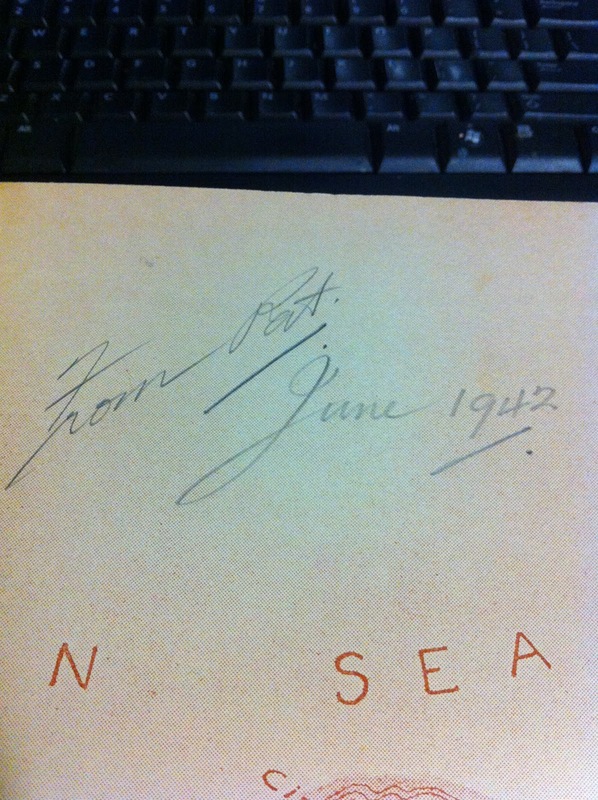 Tom is fascinated by the inscription in the front cover saying "From Pat, June 1942". He wonders who Pat is and how she came to have the book and who she gave it to. Where has it been all these years and who looked after it. 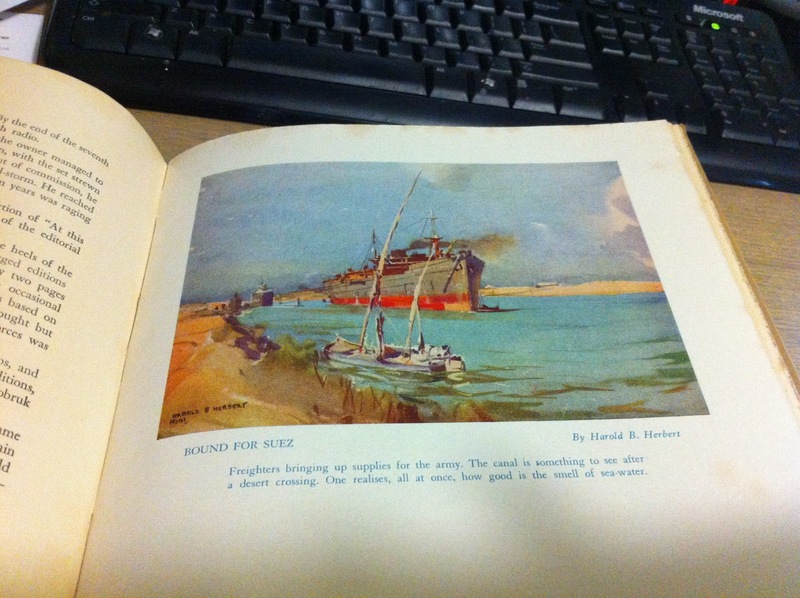 Tom believes that he is now part of the book's history too and will look after it for the next owner. Some of the photos were previously not published (in 1941) and were included to provide a more intimate understanding of the campaigns. My purpose of course was not only to gift him something i knew he would love but also to encourage a love of books. Tom is a big user of technology and he just keeps saying, you cant find stuff like this Mum. Every thing he has read thus far was written after the war. I made a point of saying that because it was written at the beginning that perhaps he might find things that were not accurate but at the time they had no knowledge of. Almost all the content are the works of men on active service and the authors are identified only by their army number or initial. I love this one, so romantic but Tom thinks that he is telling his girlfriend not to run off with someone else. It is naturally quite fragile and i have made space for it in the glassed cabinets rather than the general book shelves. He knows that he is not allowed to eat or drink with it and must use a table to support the spine. Ive caught him looking at me several times tonight, and he just says thank you Mum. He said he feels quite emotional about it. Well thats OK by me. How many 16 years old boys would say that! Lynda, what a wonderful feeling to know that you and Tom have connected in this perfect manner. You obviously understand him and his thoughts and now knows that you do. I'm sure, as a 16 year old, he is going through the "nobody gets me" phase, but he now knows that you completely do. AWESOME JOB MUM!!!!! That book is proving magical, and how wonderful that your son will treasure it and then pass it on again. Your timing was just right, as only a mothers would be. You've made your son feel extra special and that is a wondrous gift at any age. What a wonderful thoughtful and well timed gift! I hope it encourages a love of reading and books. Last night when he thought I was asleep, he crept in and kissed me on the forehead. I felt so special and loved. It hasn't always been this way. Much of it has been me letting go of what I thought he should be and just allowing him to be himself. He left school 2 weeks ago but still got on a bus and signed himself in as a visitor and joined his home group at the end of the day. He thought this was perfectly normal. He didn't ask if he could or pre-arrange it, he sees school as a safe place now (it wasn't when he was going there). At first I was aghast at the strangeness of it but you know, no one got hurt, the school didn't complain and he was happy. I think he is teaching me acceptance which is a big lesson to learn. Wow, what a beautiful bok and how wonderful to give that perfect gift too, one that is appreciated and will continue to be so. Reading the inscription gave me chills though. My great aunt is Aunty Pat (Patricia) and my grandmother, her only sibling and older sister is June. 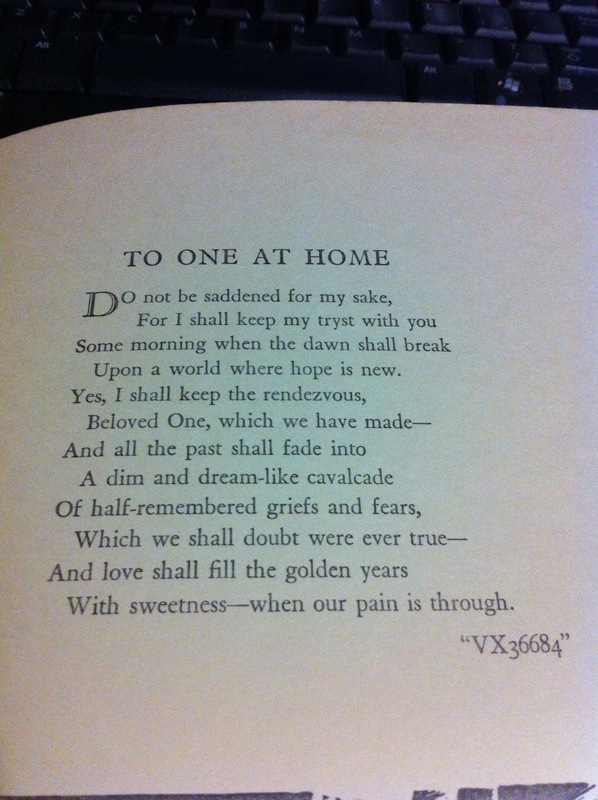 I highly doubt the book is from my family (there's no reason for it to have been as my grandparents fell in love after the war, and also it's not my grandmothers writing) but nevertheless I felt the chill. It makes me wonder whether Patrick or Patricia appreciated their book (I'm guessing Patrick but who knows)and whether it was cleared out to a thrift shop upon their passing.